Take on the world, one rosy-hued step at a time, in these smart and stylish Rose Gold Beach sandals. 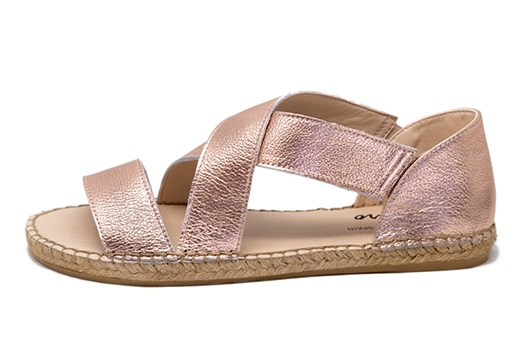 Each sandal features soft metallic leather straps and a lightly padded innersole. Laro Espadrilles are handmade in Spain and are crafted with high quality leather, a traditional braided jute sole and a vulcanized rubber bottom sole.